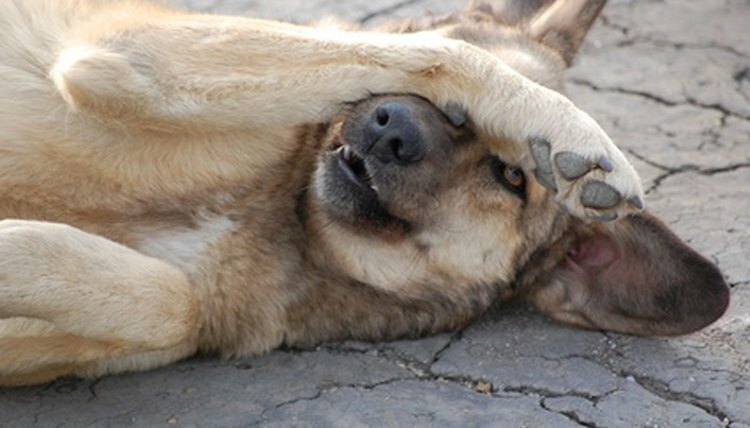 A skin rash attributed to fleas is most often diagnosed by veterinarians. The rash is caused by the dog's allergic reaction to the flea saliva left on the skin when the flea feeds. The common name for the malady is flea allergy dermatitis. First the fleas need to be eliminated to enable the skin to heal. In helping the skin back to healthy condition, prescription medications may by necessary, in addition to home remedies. Once the fleas have been eliminated from your home and your dog, the most soothing at-home remedy is that of a weekly oatmeal bath. 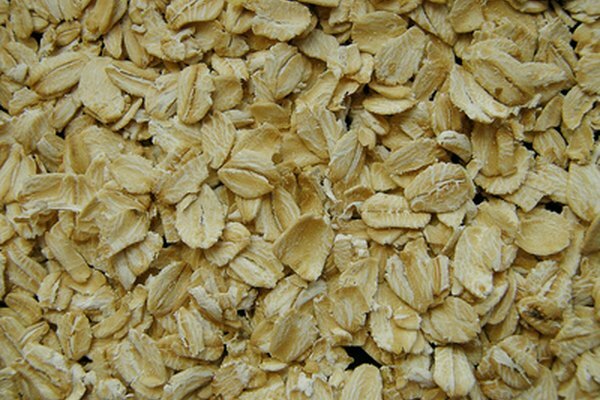 Oatmeal has properties that soothe the skin and help eliminate the itch to promote healing. Oatmeal shampoos made for canines are safe enough to be used as needed without coat drying side effects. Use tepid water and rinse completely as to not leave any shampoo residue behind. If at all possible, let the coat air dry. Oatmeal shampoos can be purchased in pet supply stores, online or made at home using commonly available ingredients. Dry shampoo formulas are not appropriate since they require you to brush the dry shampoo out of the dog's coat. Brushing can further damage compromised skin. A blend of oatmeal and other ingredients can be made at home, cooked and then put into a spray bottle for topical use. You can make a spray by boiling one and a half cups of water. Mix in a regular size bag of green or black tea. 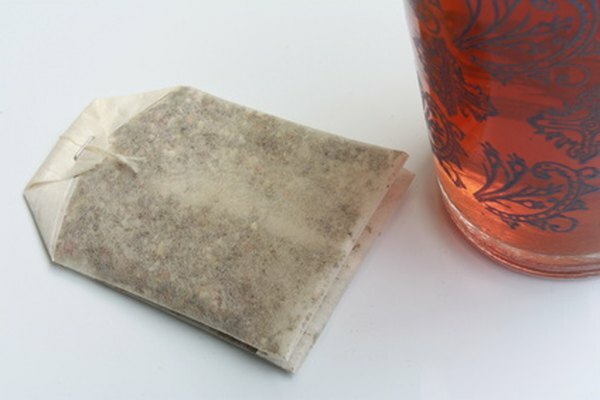 You can use a store bought tea bag. Once the tea bag has been removed, mix in two to three teaspoons of oatmeal, one teaspoon chamomile and one teaspoon calendula flowers. If calendula can't be found, you can add the same amount of tea tree oil. If necessary, use a coffee grinder to grind all ingredients to a powder form before adding them to the water. Put in a spray bottle once completely cooled and spray on your dog's itchy areas between oatmeal shampoos. Discontinue use if symptoms worsen. FleaDerm, a natural cream made by Native Remedies, is a topical cream manufactured for use on dogs that suffer from flea allergy dermatitis. Available from the company's website without a prescription, the cream contains soothing flower essences and herbs. 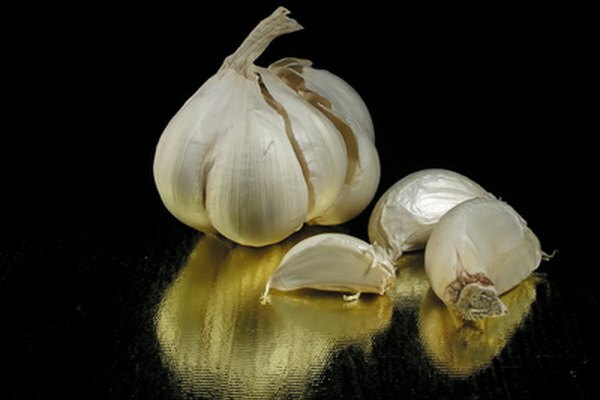 Garlic has long been known as a natural way to keep fleas and other blood sucking pests at bay. While you are treating your dog's skin, keep more fleas away by adding garlic to your dog's diet. There is such a thing as too much garlic but using one minced clove per day for small dogs and up to three cloves for large dogs, you should find it beneficial. If you'd prefer not to chop garlic, you can purchase garlic that is pre-chopped but free of preservatives.